Renault SA forecast record sales in 2010 as government incentives spurred demand for the automaker's smaller models and its no-frills Dacia brand. Sales this year will beat the 2005 high of 2.5 million vehicles, spokeswoman Caroline De Gezelle said. Renault also expects to record the industry's highest net income as a percentage of revenue, she said. Renault will sell 2.6 million vehicles this year, Le Figaro reported, citing CEO Carlos Ghosn, but profits will come mainly from the sale of a stake in truckmaker Volvo and from partner Nissan Motor Co.
Renault expects 38 billion euros ($50.3 million) in revenue and net income of 3.3 billion euros in 2010, compared with a loss of 3 billion a year ago, the newspaper said, giving the carmaker an 8.7 percent margin. 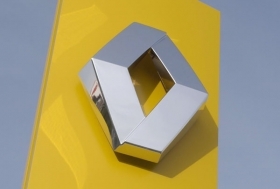 Renault posted a 2 billion-euro gain from the October sale of a 15 percent Volvo AB stake. Medium-term objectives to be announced next February include a 2013 operating-margin target between 4 percent and 5 percent, Le Figaro reported. Ghosn said in September he intended to present new medium- term objectives with the company's full-year results on Feb. 10. The plan would be split into a first period with quantitative targets and a second with more qualitative goals, he said at the time. Under a previous program introduced in 2006 and scrapped two years later, Ghosn had pledged to achieve a 6 percent operating margin and 3.3 million annual sales by last year.